An English disaster prevention manual appeared in print on August 20th 2013. 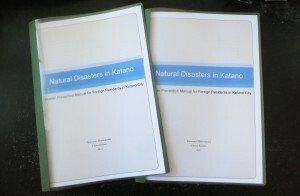 It is introducing natural disasters in Katano and how to evacuate to local shelters. To read the manual, please download the PDF file below.